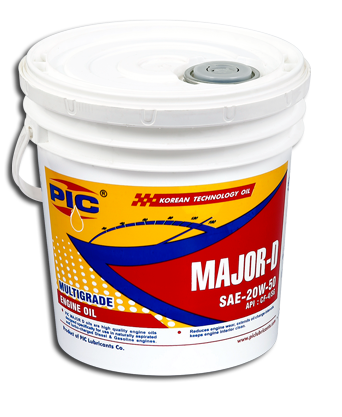 Pic Major-D is a high performance heavy duty diesel engine oil formulated with superior quality base stock and modern addictive technology. They provide outstanding engine cleanliness, shear resistant and retain viscosity at high temperature. These oils are ideally used in mixed automotive fleets operating with varied engines of different types and model and off-highway contruction machinery. Full Protection against corrosion and sludge formation. Excellent engine protection under high load condition.